Have you ever wondered what ‘Freedom from the Sand’ looks like? 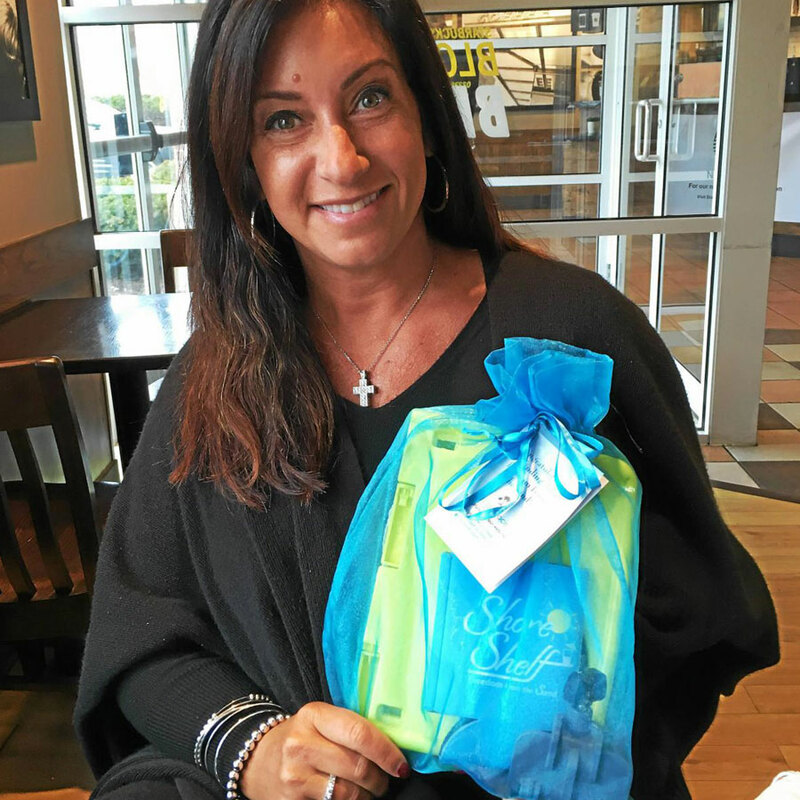 Representing three generations, Wickliffe residents Melanie Melaragno, daughter Jenna, and mother Gloria, working hard to promote the newest outdoor accessory. 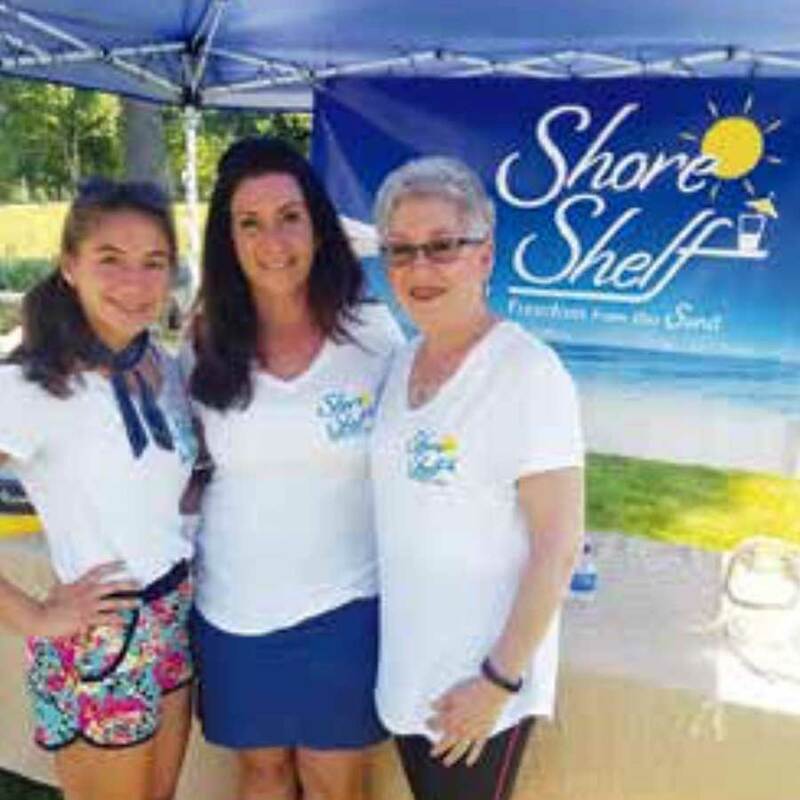 Wickliffe resident Melanie Melaragno invented Shore Shelf, which is rolling out in May. 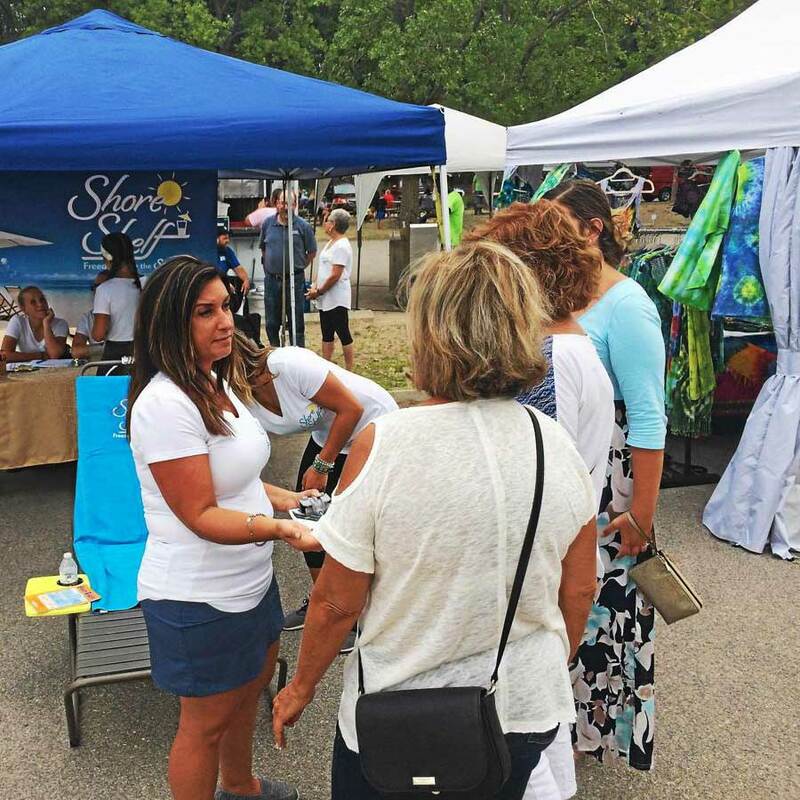 Wickliffe resident and Shore Shelf inventor Melanie Melaragno, center, speaks to Headlands BeachFest attendees about her invention on July 21. The Shore Shelf, recently patented, and a 2017 INPEX Award winner, is a dual-position clamp that allows the tray to attach to the side of any chair. Décor Cache opened in Willoughby in February. 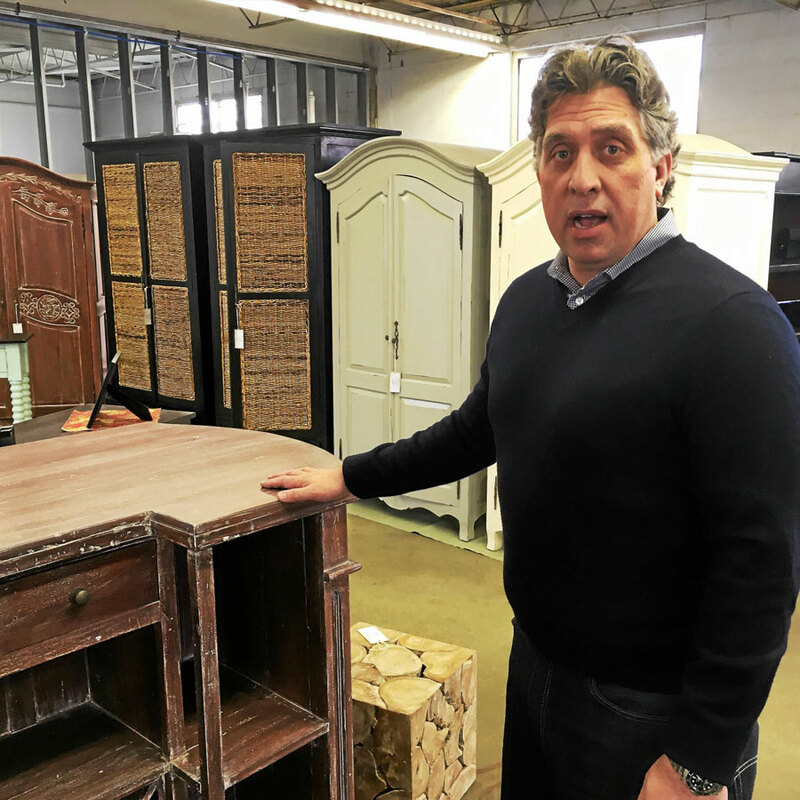 The furniture store is one of three ideas Adam Brown of Willoughby has worked on with LakeStart.